A SUSPECTED serial killer charged with snatching a “French Maddie” is being linked to the chilling murder of a Brit family in the Alps. Police believe Nordahl Lelandais abducted nine-year-old Maelys de Araujo from a wedding in the village of Pont-de-Beauvoisin in August. Her disappearance bears a remarkable similarity to that of Madeleine McCann, who vanished in Portugal in 2007. And fears are growing that Lelandais has been responsible for a string of killings in the mountainous region. Police are re-examining the roadside massacre of Surrey engineer Saad Al-Hilli, his wife Iqbal, and her mother, Suhaila Al-Allaf. The trio were shot dead in a layby near Annecy in 2012. Sylvain Mollier, a French cyclist who was passing by, was also killed in the bloodbath. The Al-Hilli’s two daughters, Zainab, and Zeena, both survived. Ex-soldier Lelandais is also accused of murdering off-duty corporal Arthur Noyer, who vanished while hitchhiking in Chambéry in April. Lelandais was arrested in September and was this week charged with abducting Maelys, who is still missing. Frenchman Nordahl Lelandais, suspected of killing French-French mother Maëlys in August in southeastern France, was formally charged with the murder of a missing soldier in April, the Chambéry prosecutor said in the same region. According to prosecutor Thierry Dran, the prosecutor's office relied on "serious and consistent evidence" provided by wiretaps on the suspect's phone and by the presence of his vehicle at the military's disappearance site in Savoie, a mountainous region bordering Italy. Nordhal Lelandais admitted his presence there, but contested all the facts attributed to him. The DNA of the missing soldier, Corporal Arthur Noyer, was identified on Monday in a skull found on September 7 on a walking trail, the prosecutor said at a press conference. The accused, a 34-year-old former dog trainer, was in police custody under the new investigation. New searches will be carried out around the place where the skull was found, as weather permitting, said the prosecutor. Lelandais had already been formally charged with the murder of nine-year-old Maëlys, who disappeared during a late-August wedding in the south-east of the country, but the case remains unveiled, denying him any involvement. After their formal indictment, investigators will "look into all the disappearances in the region," Dran said. "This will happen in the context of another case and another case," he added. 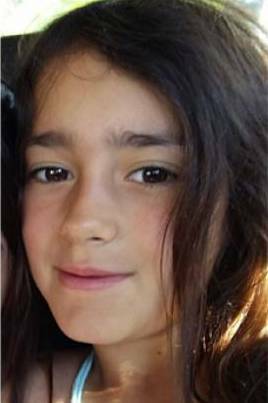 Five agonising months since 8-year-old Maëlys de Araújo (a French child with Portuguese roots) disappeared from a packed wedding reception in France, her mother has released a heart-rending video vowing never to give up on the fight for justice (click here). Former soldier Nordahl Lelandais remains in police custody, suspected of Maëlys’ murder, but denying he is guilty. His name has since been linked to a series of unexplained killings (click here), and he has been formally charged with the murder of young soldier Arthur Noyer, who disappeared in April last year, and whose bones were recently discovered in an area where Lelandais was known to go climbing and exercising his dogs. French newspaper Le Dauphiné Libéré suggests the development may lead to renewed searches for Maëlys’ remains. Whatever happens, Maëlys’ mother Jennifer Cleyet Marrel says the family will never give up. “We will fight for you and never let go”, she writes in the caption to her video, saying the last five months have been of “unbearable pain”: the video testimony to a life the family used to have, in which it was “all happy together”. Nordahl Lelandais, the 34-year-old man suspected of abducting and murdering Maëlys Araújo in August at a wedding party in France, confessed to the crime. Police have already found the remains of the lusceptible girl. The ex-military man, who is in pre-trial detention, led police investigators Wednesday night to the nine-year-old girl's body. This morning, Nordahl Lelandais was heard by the judicial authorities at his request and left the interrogation to be taken to the place where he left the body. 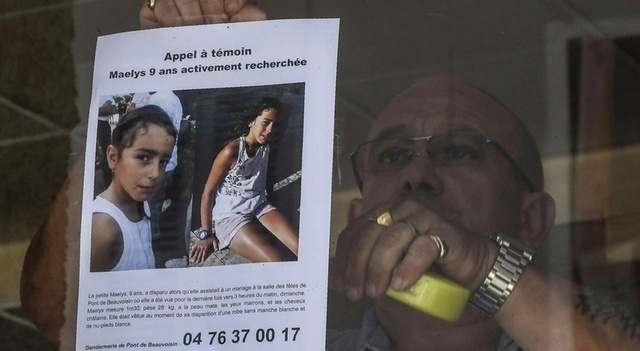 According to the French newspaper Le Dauphiné, the suspect, who confessed to the facts, took the inspectors to a field near his residence, a few kilometers from the party room where the child was last seen. On the spot, there are elements of the scientific police guided by the defendant. At a press conference, French authorities have confirmed that they have found the remains of the girls. Maëlys de Araújo disappeared on the night of August 26 to 27, 2017, at a wedding party in Pont-de-Beauvoisin, and to this day the suspect categorically removed any involvement in the disappearance. But all the evidence pointed to his guilt. In addition to finding the child's DNA in the suspect's Audi A3, the village's video surveillance images showed Nordahl's car with a white childish figure with brown hair in the passenger seat. It was all Maëlys. When Nordahl returned to that place, to return to the wedding, nothing was on the bench. Another strong indication that authorities believed the former military man's guilt was that he had cleaned the car with a powerful chemical, usually used to remove stains embedded in the car's rims the morning after the disappearance. He assured the police to have washed the vehicle with the intention of selling it.